While diseases among wildlife are anything but new, they continue to evolve and require close monitoring to protect stable ecosystems, and ensure vulnerable species that have been already pushed to the brink of extinction due to human activities are not lost. All wildlife diseases, all one health, all conservation, all the time. Wildlife Disease Association is sponsoring a challenge for projects that submit proposals by May 10th, 2019. Learn more about Experiment challenges on the challenges main page. In partnership with Experiment, the Wildlife Disease Association is calling for research proposals in the area of wildlife health and disease. In 2018, this grant challenge produced 11 funded research projects and raised over $55,000 for wildlife disease research. Experiment is the largest crowdfunding platform for scientific research with a funding success rate of 44%. Experiment's mission is to democratize the research process and remove barriers to scientific success often faced by young or early-career researchers. The average budget of a successful proposal is $4,000. This funding mechanism is commonly used by graduate students paired with a faculty member, but is not required. The call for proposal will last for 31 days from April 10, 2019 until May 10, 2019. Proposals should be submitted directly on the Experiment site at experiment.com/grants/WDA2019. Proposals submitted for the call will be approved or rejected by May 17th and launched on June 1st for a 30 day campaign. Projects will be promoted by Experiment, WDA and allied organizations. Researchers should expect to spend time weekly during the campaign working outreach. Past experience shows that projects whose proponents and research team mount a strong outreach campaign are most successful. During the 30 day campaign participants will be expected to share the projects with their networks. WDA will sponsor 7 prizes. $1,000 will be awarded to the project with the most number of donors on the 20th day of the campaigns. $500 will be awarded to the project with the second most number of donors on the 20th day. Five additional $100 prizes will be awarded to the top 4 crowd supported proposals whose author(s) are WDA members on the 30th day of the campaign. Why are some bats naturally immune to White-nose Syndrome? Can we stop amphibian extinction by increasing immunity to the frog chytrid fungus? Can DNA collected from pond water help save frogs? Are Costa Rican salamanders susceptible to Batrachochytrium salamandrivorans? Do Pacific Northwest marine mammals carry antibiotic-resistant bacteria from land animals? Do zoonotic pathogens exist in Fijian bats and if so what are the risks of exposure to humans? In March 1951, a group of 28 U.S. and Canadian scientists interested in wildlife diseases founded the Wildlife Disease Committee, which became the Wildlife Disease Association (WDA), a 501 non-profit organization. 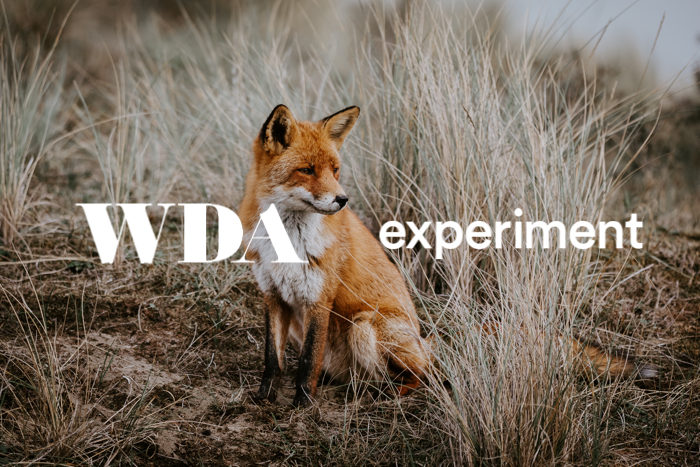 The mission of WDA is to acquire, disseminate, and apply knowledge of the health and diseases of wild animals in relation to their biology, conservation, and interactions with humans and domestic animals. 1. Involve a significant health or disease issue in free-ranging marine or terrestrial wildlife. 2. Have implications for wildlife populations and ecosystems in which wildlife live. 3. Emphasize species conservation and application of a One Health approach. Have a Wildlife Health and Disease Challenge Grant experiment idea? To take part in this Experiment challenge, get started by creating a new project below. Experiment is an online community for making science go faster. Create a research project, get funding, and share your discovery with the world.